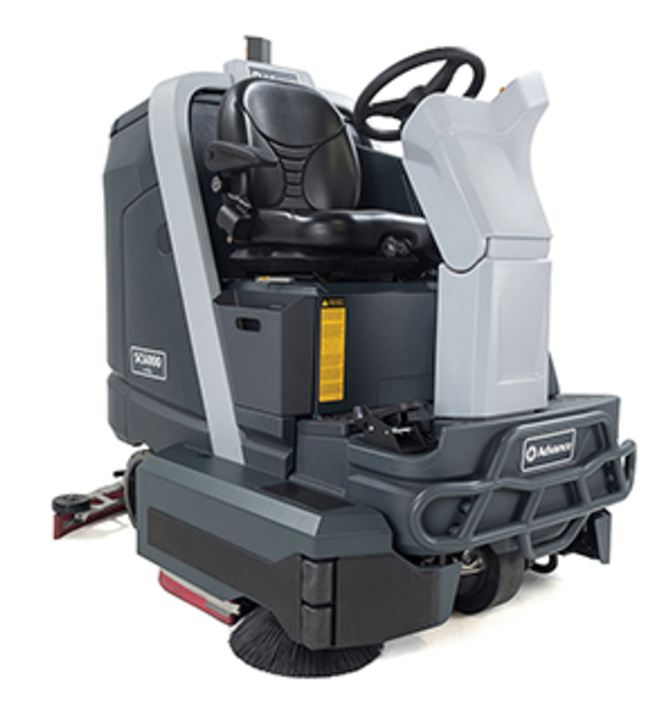 Experience higher productivity and unparalleled durability with a lower cost to clean in one compact package. Technological advances allow Advance's SC6000 offers up to 30% greater runtime/productivity versus the nearest competitor. SmartFlow™ dispenses solution based on speed, reducing water and chemical use up to 50%. 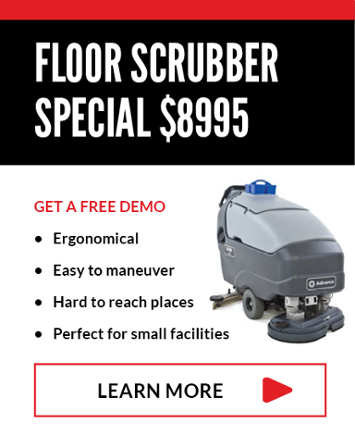 Available with either disc or cylindrical scrubbing, the SC6000 is engineered to effectively clean warehouses, food and beverage facilities, distribution centers, etc - for less. SmartKey™ with impact detection - unique levels of user access produce consistent results with greater operator accountability. SmartFlow™ and intermittent solution off reduce water and chemical usage by up to 50% while producing safer cleaning results. Rugged industrial design including a fully-protected scrub deck, tubular frame, and extended life cylindrical deck components for maximum life and low cost of ownership.